Spanning over 13 nights of adventure-fuelled exploration, this spectacular guided tour delves into the fascinating history, breath-taking landscapes and rich cultural heritage from two of South America’s most diverse and intriguing nations. 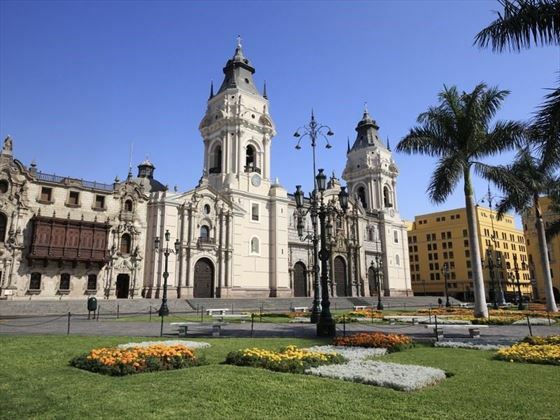 Starting in the enchanting capital of Peru, you’ll discover Lima’s colonial heritage and UNESCO city centre before moving on to the Sacred Valley of the Incas, one of Peru’s most significant historic and cultural regions. Here, you will find attractive colonial towns, isolated weaving villages, bustling markets and glorious Inca citadels; then it’s on to the world-famous Machu Picchu, considered South America’s most spectacular attraction. Your final Peruvian stop will be Cusco, the former Inca capital, where you’ll get a glimpse into the continent’s richest heritage. From here, your journey to Bolivia will begin. 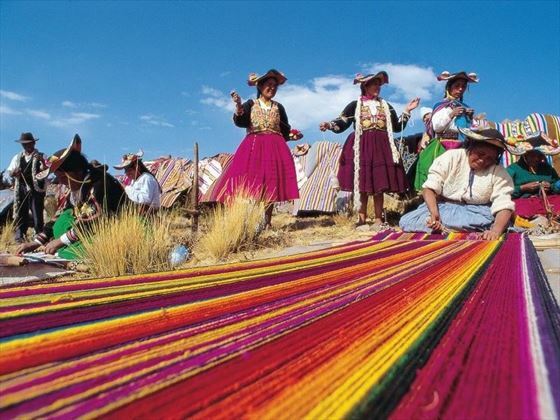 You’ll visit Puno and Copacabana before boarding a catamaran cruise to Sun Island, the sacred birthplace of the Incan Empire. Experience a traditional Shaman blessing, climb the ancient Inca steps and delight in an authentic sailing trip aboard a traditional Titicaca vessel. You’ll then arrive in La Paz, Bolivia’s capital city, which is situated at nearly 12,000 feet above sea level; visit Moon Valley and explore the city centre before taking an exhilarating cable car ride above the cityscapes. 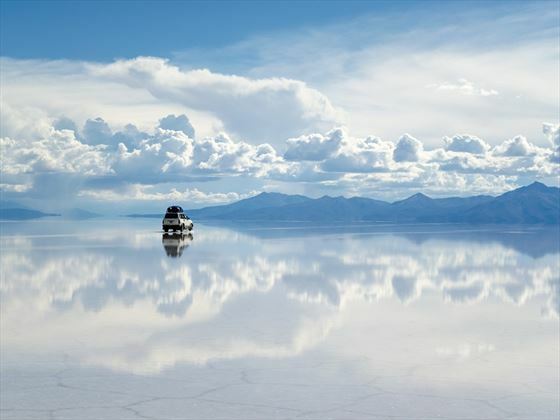 Your last destination will be the spectacular Uyuni Salt Flats, where you’ll tour the phenomenal landscapes aboard a 4x4 exploration jeep. Unlike many South American tours which simply explore the sights and landscapes of the continent’s diverse nations, this adventure further offers the opportunity to immerse in the rich, ancient heritage and fascinating culture too; enjoy a number of cultural demonstrations, shows and workshops, experience local life in the Sacred Valley, learn about the importance of local music and dance, and savour the incredible, mouth-watering flavours of Peruvian and Bolivian cuisine (CL). Upon arrival in Lima in the late afternoon, transfer to your hotel and spend the rest of the day at leisure. Today you will discover Lima’s fascinating history and enchanting ambience with a guided tour through the historic, UNESCO-Listed city centre, adorned in beautiful colonial architecture. See the Government Centre and the elegant Plaza de Armas Cathedral, before exploring the fashionable suburbs of San Isidro and Miraflores. You’ll then visit Casa de Aliaga, former house of the conquistador Jeronimo de Aliaga y Ramirez, and this evening, head to the Larco Museum, a former mansion built on the site of a pre-Columbian temple; the museum showcases over 3,000 years of ceramic, textile and precious metal artefacts. Later, you’ll enjoy a delicious welcome dinner at the museum. After breakfast, you’ll transfer to the airport for your flight to Cusco. 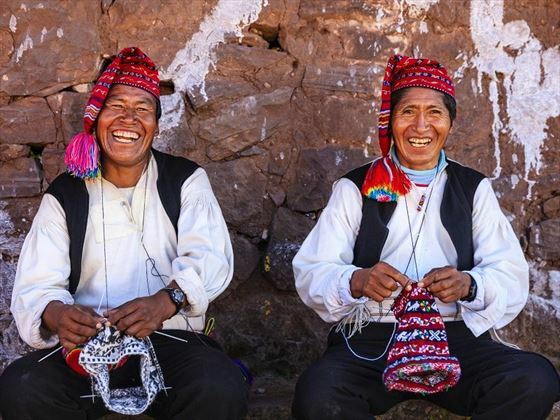 From here, travel through the majestic Andes to the Sacred Valley of the Incas, where you will learn the centuries-old methods of spinning, dyeing and weaving textiles during a visit to Awana Kancha, a living museum of the Peruvian Andes. Stop in Pisac Village to browse the colourful handicraft market, and visit a local hacienda for a farm-to-table lunch and a Paso horse show. This evening, enjoy some time at leisure and settle in to your hotel located in the heart of Sacred Valley. 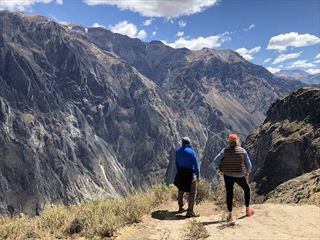 This morning, you will visit the spectacular Ollantaytambo ruins, a uniquely terraced complex topped with carved stone panels, reflecting ancient Incan architecture and heritage. Afterwards, you’ll travel to the Pablo Seminario Ceramic Studio where you’ll gain first-hand knowledge into the internationally-renowned artist’s techniques. 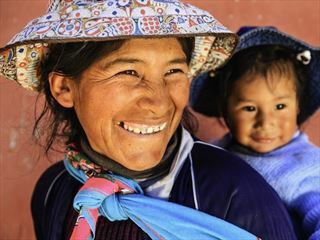 From here, head to a nearby Quechua community to experience the lifestyle of the modern Andean people, delve into their culture and interact with the locals; Witness a true taste of their daily life as you participate in small-group workshops, teaching you the traditional methods of growing, harvesting and weaving. Celebrate the local culture as you learn traditional dances and listen to their instruments before enjoying a home-cooked lunch of local specialities. Climb aboard the Machu Picchu Vistadome train for breath-taking views through domed windows as you journey through the Andes to the ‘Lost City of the Incas’. 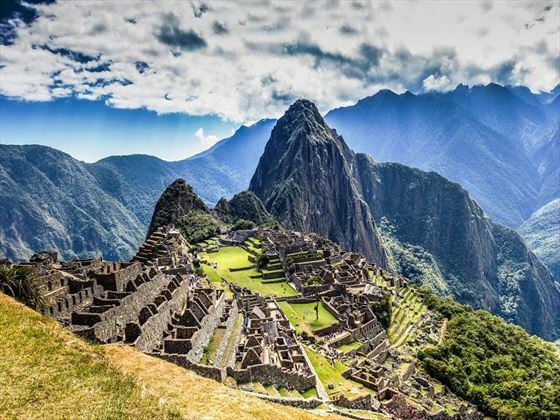 Hidden by mountains and semi-tropical jungle, Machu Picchu is considered as South America’s most spectacular sight. On arrival, you’ll spend the entire afternoon with your guide, uncovering the mysteries of these majestic, ancient ruins. Your overnight accommodation is set at the base of Machu Picchu, offering further opportunity to soak up its glorious sights and atmosphere. This evening, you’ll attend an exclusive culinary demonstration before enjoying an award-winning tasting menu at your resort. 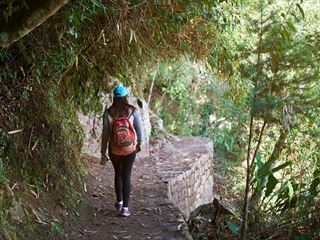 You’ll have some free time this morning, with the option to take a tour of Machu Picchu to witness the magnificent sunrise, or explore the local markets in Aguas Calientes at leisure. Return to Sacred Valley via the Vistadome train, and on arrival, you’ll visit the Sacred Valley Brewing Company, a non-profit brewery created to support a local orphanage. Taste the Andean-inspired craft beers and learn about the brewery’s efforts to support the community. Afterwards, continue to Cusco. You’ll have a choice of activities to enjoy this morning; you can take a walking tour of the city with a local guide, or you can board a coach for a comprehensive tour of the city’s main sights. Both tours will take you on a journey through this former Incan capital, exploring the Cathedral, San Domingo, Plaza de Armas and the central market. 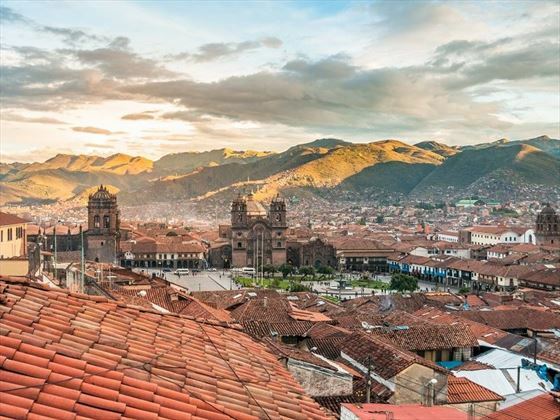 Enjoy the afternoon to explore Cusco at leisure, and gather back together later on to discover the sacred Incan ruins of Sacsayhuaman Fortress; enjoy a toast at sunset whilst enjoying breath-taking views overlooking the city. Return to Cusco for an authentic local dinner along with a traditional folkloric performance. 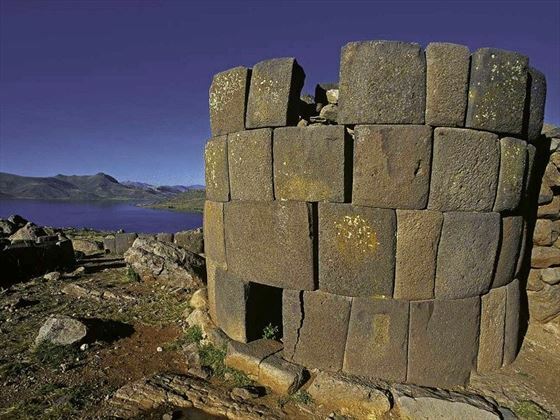 This morning, you will fly from Cusco to Puno, known as the birthplace of the Inca Empire. Meet the locals and discover the history of this region as you explore the village centre. 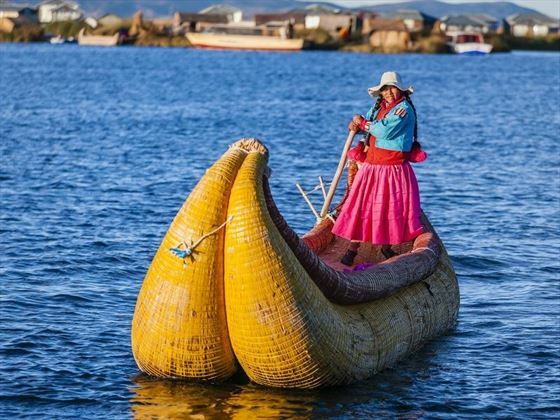 Then, you’ll embark on an afternoon cruise to the floating islands of Uros; walk upon the spongy surfaces made from compacted beds or tortora reeds, meet with the locals and learn about their lifestyle. Arrive at your lakeside hotel and enjoy an evening at leisure. Today, your journey to Bolivia will begin. 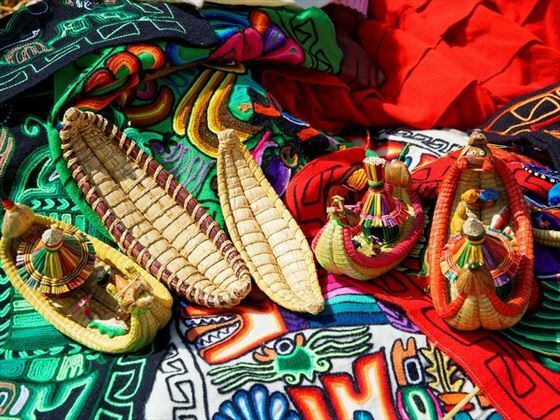 From Puno, you’ll visit the lakeside town of Copacabana, to see the Basilica of Our Lady of Copacabana and the statue of the Patron Saint of Bolivia. Explore the Main Square and local market before boarding a catamaran cruise to the sacred and legendary birthplace of the Inca Empire, Isla del Sol (Sun Island). The Titicaca region remains as the centre of Incan legends; climb the ancient Inca steps, walk along agricultural terraces and take in spectacular views of Lake Titicaca during your visit to the Inti Wata Cultural Complex. 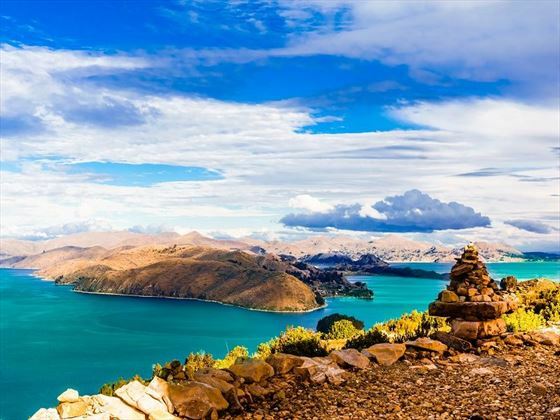 Experience a traditional Shaman blessing on a cliff overlooking the lake, and finish off your trip to Sun Island with an authentic sailing trip aboard a traditional Titicaca vessel for panoramic views of the Pilkokaina Inca Palace ruins. 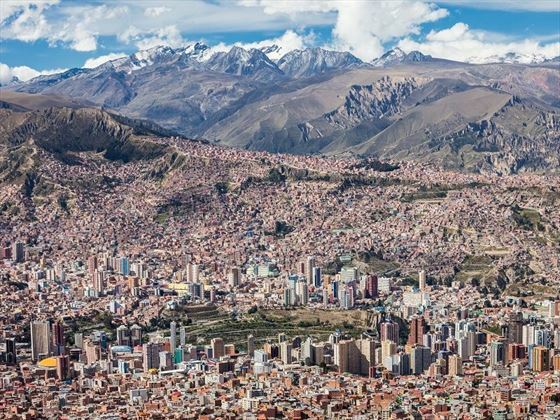 You’ll arrive in La Paz this evening, the highest-altitude capital in the planet situated at nearly 12,000 feet above sea level, recognised as one of the world’s seven urban wonders. La Paz is located in a valley at the foothills of the Andes Mountains. Begin your day with a visit to Moon Valley, a maze of canyons, giant spires and geological formations, said to be named after Neil Armstrong after he likened it to the lunar landscape. Continue to the city centre, where you will see the main square, La Paz Cathedral, Presidential Palace and the Congress Building. Then, you will have the choice of visiting the Gold Museum, showcasing an impressive collection of pre-Columbian precious metals dating back to up to 3,000 years, or visit Casa Pedro Murillo, the former home of the martyr of Bolivian independence, where you’ll see an impressive collection of artefacts, colonial art, furniture and musical instruments. This afternoon, you may take in magnificent views of the city from an exhilarating cable car ride, and venture into the famous Witches Market to mingle with the locals buying supplies for ritual ceremonies. Gather with your fellow travellers this evening for a cocktail reception, before enjoying traditional Bolivian cuisine. 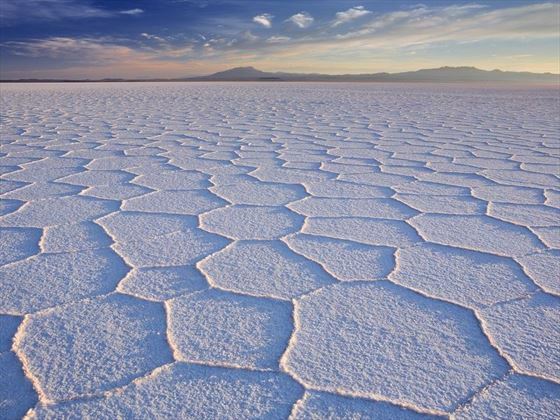 Today you will fly from La Paz to Uyuni, the largest salt flat in the world. On arrival, you will be collected by 4x4 exploration vehicles to tour the spectacular landscape. Visit the Train Cemetery, and continue to the village of Colchani to meet a local artisanal salt factory owner, and observe the traditional methods of salt extraction. You’ll then head to Incahuasi Island, situated in the middle of the salt flat, to marvel at hundreds of cacti, some dating back thousands of years. Delight in a picnic lunch in the middle of the flats before heading to your one-of-a-kind hotel, completely made out of salt bricks. This evening is at leisure to enjoy your unique accommodation, or you could enjoy an optional salt flats stargazing experience. Enjoy a relaxing morning before returning to the salt flats in the afternoon for some more exploration. Arrive in the village of Chantani, located at the base of Tunupa Volcano, where you’ll visit the local museum and ancient burial ground. In the evening, toast to the end of your visit to Uyuni with a sunset reception on the salt flats. Fly back to La Paz and spend an afternoon at leisure, making the most of your final afternoon in this amazing city. In the evening, join your fellow travellers for a farewell dinner, showcasing a fusion of Bolivian cuisine. As your tour comes to a close, transfer to the airport for your departing flight home, reflecting on your amazing Andean adventure.